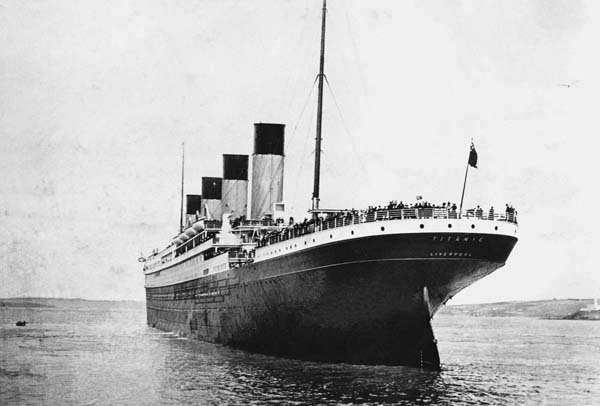 This stern view of the Titanic was taken as the ship came came to a stop having dropped anchor. The head and shoulders of a seaman can be seen above the rear funnel, which was in fact a ventilation shaft, he climbed up to get a grandstand view of Titanic’s arrival at Cobh. On April 14, 1912, the Titanic hit an iceberg off the coast of Newfoundland and on April 15, 1912 the “unsinkable” ship sank killing 1,523 passengers. Prior to its fateful voyage to New York City, the ship traveled from Southampton to Cobh (Queenstown) in Ireland. 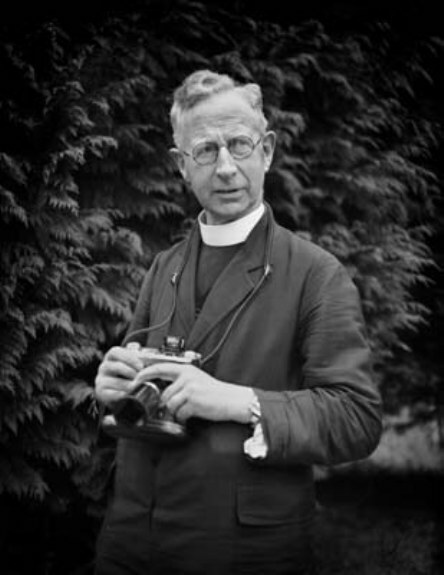 For that short trip, Father Francis Browne was gifted a first class ticket by his uncle, Robert Browne (Bishop of Coyne). An avid photographer, Fr. 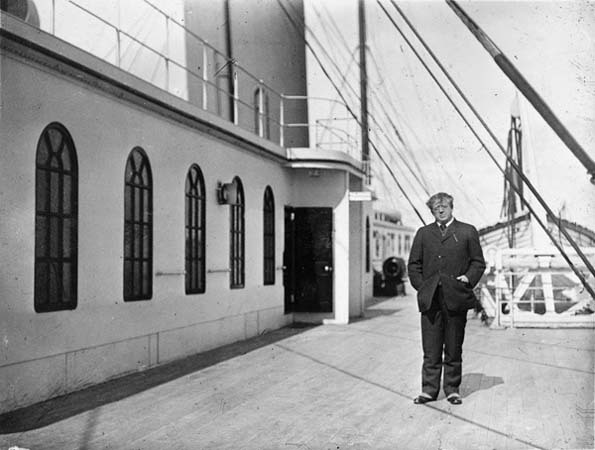 Browne snapped a series of photographs of the Titanic that give insight to life onboard and are an important part of its history. 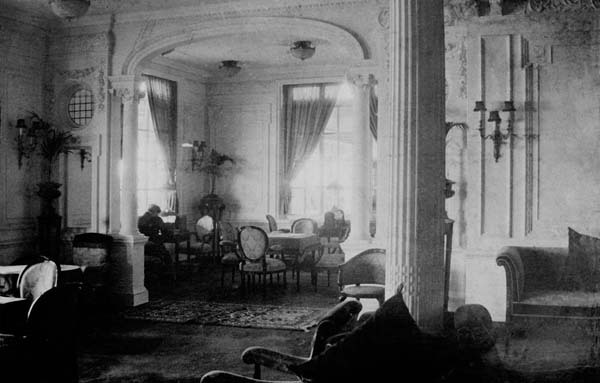 The entire image gallery can be found at Titanic Photographs and more of the history behind the photographs can be found at the Father Browne website. A commemorative book of digitally remastered photographs titled Father Browne’s Titanic Album: Centenary Edition is available to purchase at Messenger Publications. Yes, the Titanic tragedy was real and not just a movie. 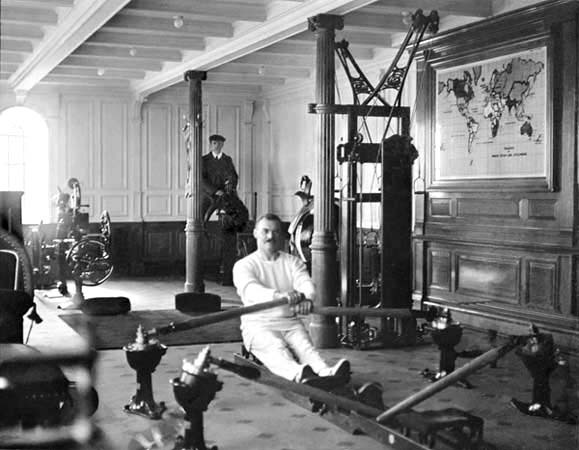 Mr. TW McCawley the physical educator poses at a rowing machine and Mr. William Parr, electrician who was travelling first class, is seated on some form of exercising machine, hold still for the duration of a time exposure. Both men were lost.